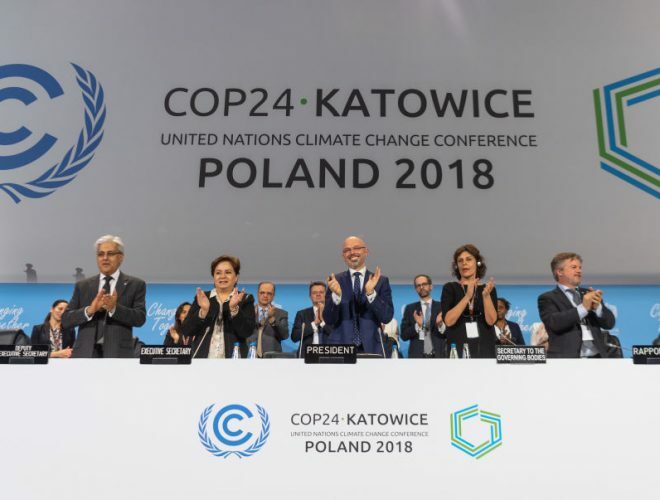 The 24th Conference of the Parties (COP24) to The United Nations Framework Convention on Climate Change (UNFCCC) took place in Katowice, Poland from 2-14 December 2018. The main task of this UN climate conference was to negotiate and agree on different topics regarding the principles aimed at full implementation of the Paris Agreement, a “rulebook” to sustainable global climate policy signed in 2015. The preliminary goal of Polish Presidency was to adopt The Paris Rulebook and create a universal systemic solution and a comprehensive approach to all important areas of emission instead of concentrating only on fragmented point-based objectives. 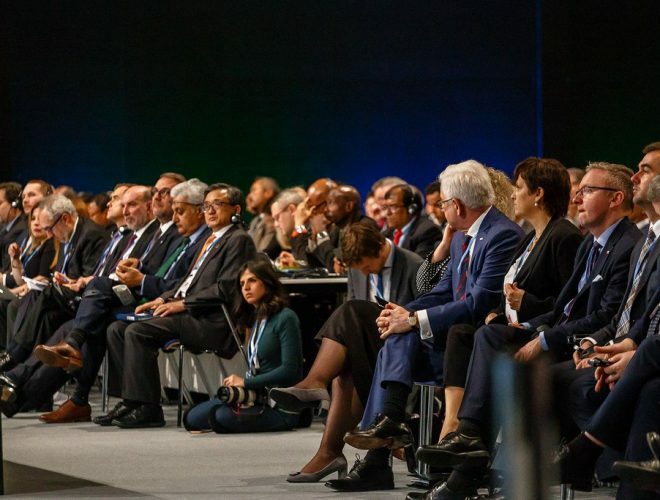 COP24’s key outcomes include the Paris Rulebook which is the first ever flexible system applicable for all Parties with tracking and reporting function of progress in climate action. This will allow Parties to communicate the progress and practices and compare with other actors. In regards to the EU, the rulebook will help delivering the 2030 Climate and Energy Framework. Among the stages, there is also a section on “loss and damage” which refer to unavoidable impacts of climate change, added especially as a response to vulnerable and developing countries. 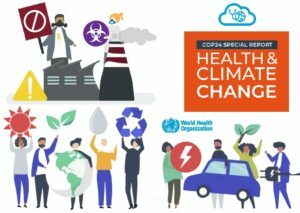 The World Health Organization (WHO) was asked to contribute to COP24 with a special report on climate change in regards to health challenges connected to the issue. The initiative was built around the argument of delivering the sensitiveness of health to climate variation and change as well as its consideration in creation the policies and other programs. It is to point out that not only economic benefits are connected to tackling the climate change, but so is the overall health of populations. In the report, WHO refers to air pollution as to one of the most direct linkages between climate change and ill health. Polluting energy systems are recognized as a heavy source of climate change and air pollution. According to their research, almost four million deaths a year are caused by indoor pollution from use of solid fuels for cooking in poor households. Section dedicated to residential and other buildings points out mostly to improper ways of heating and cooking as the main challenge especially in low and middle-income countries and other rural populations in different regions. Using inefficient stoves or even open fires means burning solid fuels and thus contributing to climate change and health issues, too. Nearly three billion people lack access to clean fuels and stoves for cooking. What is important is the fact that to step from polluting energy system does not necessarily mean to invest only in renewable energy. It is the best and most efficient way but in poor regions, replacing other solid fuels with, for example, liquified petroleum gas can bring a significant difference, even though it is still a fossil fuel. Another problem identified by WHO is heavy subsidization of fossil fuels which in fact lowers its price and causes overconsumption. They call for investing more in clean energy and even give an example of households possibly benefiting from lowered clean-burning liquid petroleum gas prices in exchange from using polluting solid fuels producing indoor air pollution. Special initiative (2016) was proposed by the European Commission in case of coal and carbon-intensive regions in transition so that they can also benefit from clean energy transition which is one of the preliminary goals of Clean Energy for All Europeans Package. 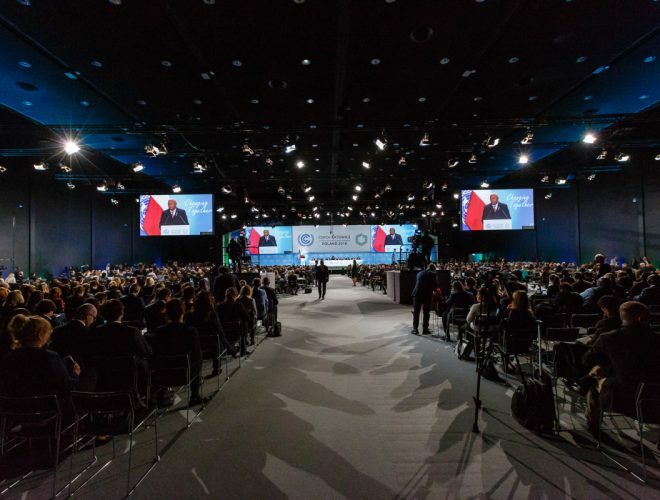 Find more information about COP24 here. Find WHO’s COP24 Special Report in full here. Find Energy Efficiency Magazine for COP24 here.